Damn, this looks good. 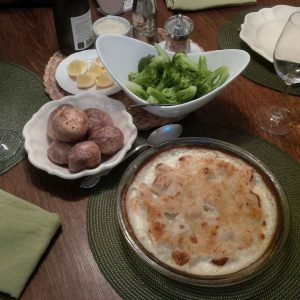 Baked scallops, baked potatoes and broccoli. You have to get your own food blog, girl! I’ll make it for you one day! Promise!